Relaxer Day Details + Results! - Hairlicious Inc. If you follow me on Instagram (@hairlicious) you know that I relaxed my close-to-three-months worth of new growth over the weekend. I'm very impressed with the results and the overall process. I've been self-relaxing, with the help of my sister, since 2010. Not only does self-relaxing offer you the flexibility to relax whenever you want, it also provides you with control, freedom and the opportunity to pamper your hair. Step 1: Applied Roux Porosity Control all over my hair and ends. This conditioner provides awesome slip for detangling. I apply this to my ends since it has a low pH to prevent the relaxer from processing my ends while I'm rinsing it out. Step 2: Coated my previously relaxed hair with DAX! 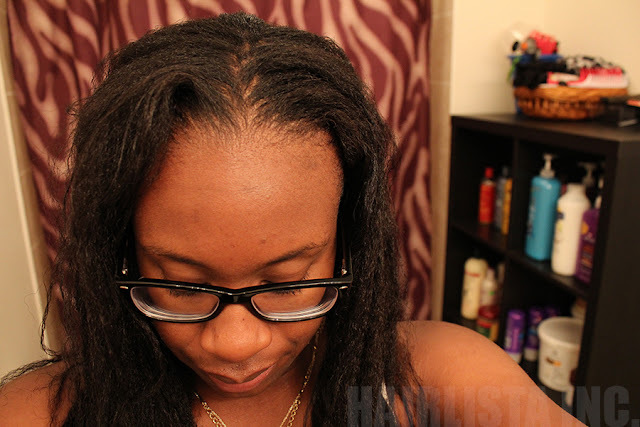 I no longer use Castor Oil/JBCO to coat my ends before relaxer. I preserve my liquid gold for my scalp and DC's - only! I've been using Vaseline since it's extremely thick and relaxer will NOT penetrate through it while I'm rinsing my relaxer out. Since I ran out, I decided to use some DAX that was laying around the house. Worked like a charm! Step 3: Began to section off my hair in 4 quadrants. I proceeded to part my hair in 1" sections and two-strand twist each section. I did this for the entire head. I put my hair in mini twists to speed up the relaxing process without having to part my hair as I go. Step 4: I set the timer on the clock to 25 mins. I usually complete my entire head (with smoothing) with 3-4 mins to spare. Step 5: I neutralized with Motions Neutralizing Shampoo. I always neutralize 3 times (one session for 5 mins, another for 5 mins and then a final session for 10mins). I leave the neutralizing shampoo on my hair as if it were conditioner. 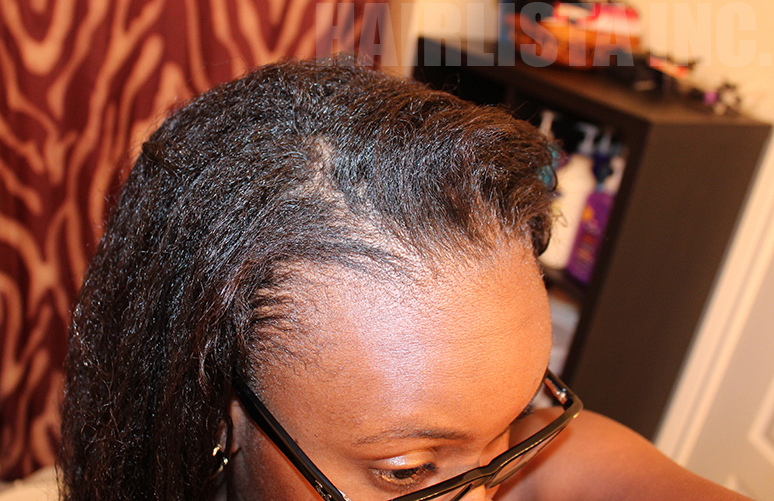 This process ensures the relaxer has stopped working and is no longer in my hair. Step 6: I followed up with my Creme of Nature Argan Oil sulfate-free shampoo and then t-shirt dried for 15-20 mins. Step 7: Let the pampering begin!! I deep conditioned with Aussie Smooth + Keracare Humecto w/ 3PO (Olive Oil, Coconut Oil, Avocado Oil) under my steamer for 20 mins and then hopped into bed to continue deep conditioning overnight. 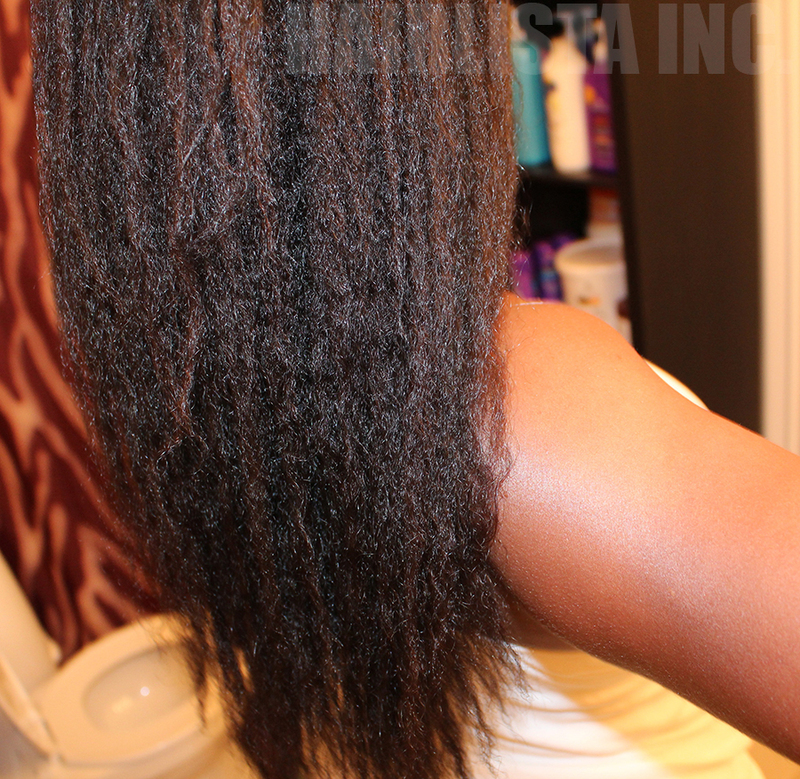 When I rinsed out my DC in the morning, I was presented with smooth, fluffy, full of texture, soft freshly relaxed hair! Damp hair. Just removed the t-shirt. About to apply my deep conditioner. Your hair looks great; straight roots and healthy ends! I really want to self relax, but I'm scared that I will mess up my hair. When you begin your relaxer, do you start on wet hair with the Roux Porosity conditioner and Vasaline/Dax? Also, do mineral oil based products work better that JBCO? Thanks in advance! I totally understand your anxiety towards self-relaxing. It can be overwhelming that's why I have my sister help me out by doing the back portion and I take care of the front. Yes, my hair is slightly damp when I'm applying the relaxer. However my roots remain untouched by the roux porosity control & DAX. Thank you so much!! Yes my hair still has texture in it, but I'm not texlaxed. I leave the relaxer on longer than a texlaxed person would and I smooth my new growth. Typically, those who texlax do neither of the two. I believe my hair is this way due to me protecting it from relaxer run-off and relaxing only my roots. Nice -- looks good and healthy! I like your ends protection for relaxer run off. I use Olive oil or vaseline and also Roux. Love the texture of your hair. I find Vaseline offers better protection. It's super thick and nothing will penetrate. It's an excellent barrier for your ends. Your hair is as beautiful as ever. What grade of the ORS do you use? Mild, Normal or Fine to Medium, or Super Strength. Also for your gorgeous perm rod set did you two strand twist your hair before wrapping it around the perm rod or you wrapped it without twisting the hair. I use Normal strength in the ORS Olive oil relaxer. Re: perm rod set, I just wrapped my hair around the rod. No two-strand twist. so If I read it well you also apply porosity control to your new-growth too? I don't apply any roux porosity control to my new growth. Just the previously relaxed hair. Oh my goodness! I haven't seen Dax in forever. That was my mom's go to grease for my hair back when I was kid. IKR. It's vintage but oh so good. Coats the hair like no other. Perfect for relaxer days!!! I always coat my ends with vaseline but not roux. I will have to add that. What do you apply first the roux or dax? I thought you were texlaxed all along. Those those barriers methods seems to work well to prevent your ends from run off. I want my ends thicker too.